Use code TOPUS for $4.00 off all orders of $40 or more! Expires 10/31/2018 at midnight eastern. Start shopping at Bridal Party Tees now. You might be on our site looking for the latest and greatest in Bachelorette Party graphic apparel. Congrats, you for sure found the right spot. But, you know what, feel free to get creative. It’s October. Halloween season is here. How many Halloween-themed Bachelorette Parties do you expect to see? Maybe yours will be the only one in these incredible Halloween Bachelorette Tank Tops. Your job’s a joke. You’re broke. But is your love life really D.O.A.? Probably not if you are shopping for super cute Bride Tank Tops at Bridal Party Tees. The customization! Add your own names. Or you know what… do whatever you want. Say whatever you want. Change the text, change the art, change the colors. You can even change the font but I already listed that as one of my favorite things so why would you do that?! 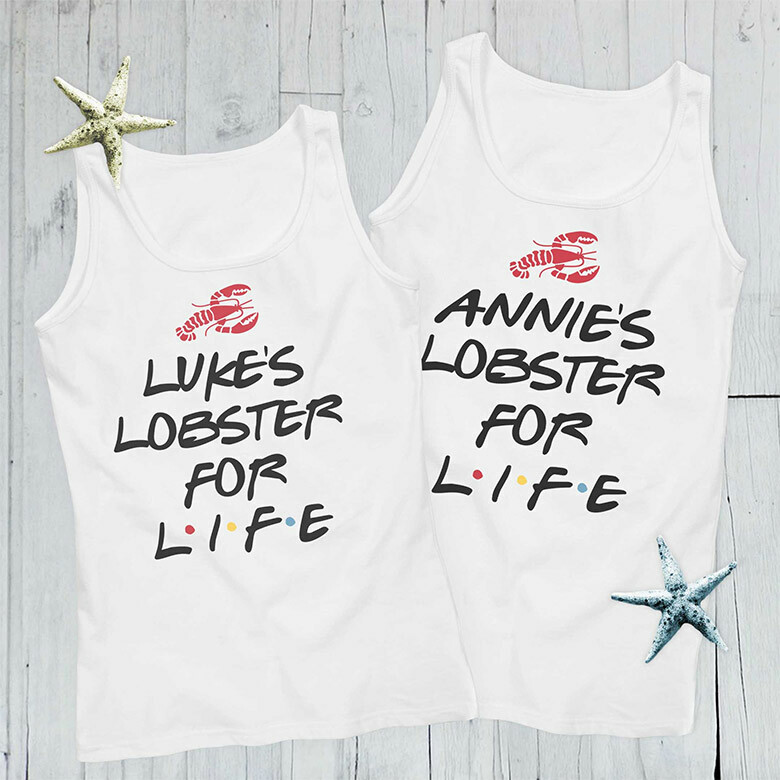 Customize your Lobster for Life Tank Tops here. This is going to be your day. It’s going to be your week. Your month. Heck, even your year!